The fertile fields of Vista Santa Rosa, a charming area in the Coachella Valley, produce delicious California dates and nurture agile polo horses. While the town is more agrarian than residential, a couple of thousand people call Vista Santa Rosa home. Its residents know they can depend on All Desert Insurance to meet their varied insurance needs. From modest two-bedroom ramblers to elaborate, rambling estates, Vista Santa Rosa is home to a variety of house styles. All Desert Insurance can write homeowners insurance policies for all of them, protecting homeowners in the event of damage to their main dwelling, outbuildings, or personal property. Whether you sail the briny waves of the Salton Sea or the sparkling waters of Diamond Valley Lake, you need to make sure that your sailing dreams aren’t capsized by a lack of proper coverage. Boat insurance from All Desert Insurance will keep you out of choppy waters, even if you collide with an uninsured pirate on Lake Cahuilla, or your boat gets damaged while you’re hauling it to Lake Hemet. And speaking of hauling, All Desert Insurance can also take care of your automobile insurance and specialty vehicle insurance coverage. Vista Santa Rosa is known for its date palms, polo ponies, and equestrian activity centers. If you own one of these fruit or horse ranches, you almost certainly have a staff with group life insurance and group health insurance needs. All Desert Insurance can provide a wide variety of options for your ranch hands, groomers, trainers, foremen, and farmers, allowing your company to subsidize coverage for workers of various income levels and their families. In addition, All Desert Insurance covers your company with reliable, comprehensive business insurance. If you’re among the two-fifths of the Vista Santa Rosa population who rents a home, consider coverage from All Desert Insurance. Whether you need rental insurance for a house, mobile home, condo, or apartment, All Desert Insurance will find you the perfect policy. We’ll give you a divine deal on coverage for your rental ranch house on Persimmon Lane or make sure your rental insurance policy for Choate Court is all in order. Whatever your kind of insurance you require in Vista Santa Rosa, All Desert Insurance can supply the coverage you need. We are proud to serve this quiet, rural community in Southern California’s beautiful Coachella Valley. 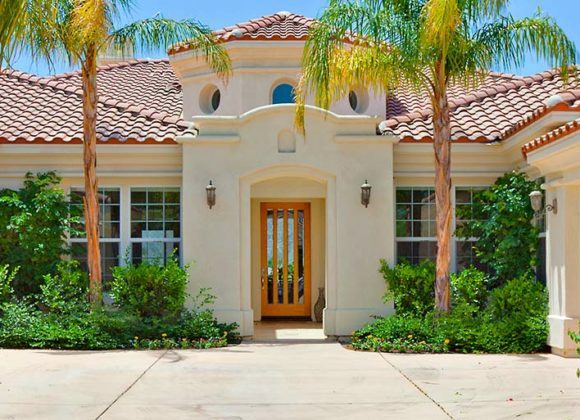 A destination for horse lovers and polo players that’s just minutes from Augustine Casino, the Lake Cahuilla Recreation Area, and several exceptional golf courses, Vista Santa Rosa is a gateway to diverse leisure activities and amenities—and a pleasant, peaceful place to live.